20 miles from the town of Narvik lies the small stronghold of Ragesund. 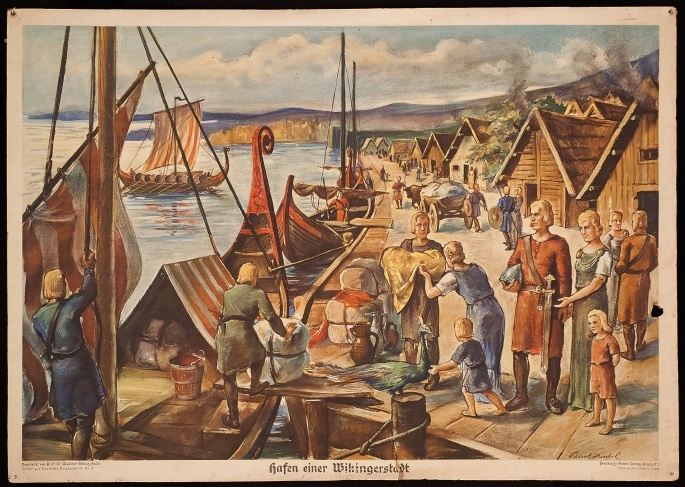 Home to Ragnar the Seafarer and his men. The town merely consists of a small port, a few houses and a wooden fortress. Ragesund is the central place in the journeys of Ragnar the Seafarer and his brave band. When their drakars come sailing into the port, it is always a feast. I really like the coat of arms. Nicely done! And that town looks sooooo cozy. I might have to pay y'all a visit sometime. You are of course very welcome to do so.